With Russia, France, Germany, and Britain locked in an arms race and trouble brewing along its southern border in the Balkans, Austria-Hungary was soon swept up in the European armaments craze. But in Austria-Hungary, nothing was ever simple. As in other countries, the question of increased military spending stirred political controversy in Austria-Hungary, which became even more complicated because of the unusual “dual” nature of the state. Adopted in 1867, the power-sharing arrangement elevated Hungary, long subordinate to Austria, to an equal partner with its own constitution and parliament. A semblance of unity was maintained by the monarch, Franz Josef, who ruled Austria and Hungary from separate thrones, as the Emperor (Kaiser) of Austria and King (König/Király) of Hungary. This byzantine division of authority was a desperate measure to head off Hungarian independence – but radical Hungarian (Magyar) nationalists still opposed any compromise or cooperation with the German Austrian half of the Dual Monarchy. 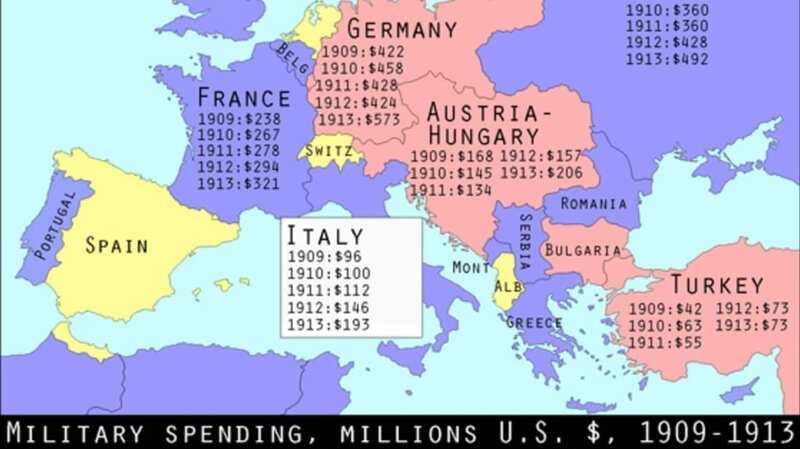 Because the military budget was one of the few areas where the Austrian and Hungarian governments still had to work together, it was a natural target for Hungarian politicians, who always seemed to find financial obstacles to increased defense spending. And it got even more complicated: ironically the Hungarian Magyars themselves were threatened by new nationalisms arising among the Slavic populations of the Kingdom of Hungary, who were of doubtful loyalty, resisted military service, and also opposed military spending as long as they didn’t enjoy the same political rights (especially in voting) as the Hungarian Magyars. Then, of course, there were also socialists – urban workers who tended to oppose increased military spending as a capitalist-imperialist plot. In the face of all this ethnic and economic fragmentation, the only thing holding Hungary (and indeed the Dual Monarchy) together was the conservative Hungarian Magyar elite, consisting of aristocrats who embraced the traditional dynastic form of government prevalent in Eastern Europe and supported Franz Josef as the legitimate king of Hungary. As such, they also tended to support the military as one of the few institutions still binding the empire together. Thus on June 4, 1912, the leader of the moderate (pro-Hapsburg) Hungarians, Count István Tisza, presented a new Army Bill to the Hungarian parliament that would increase the annual recruiting contingent from 139,000 in 1912 to 181,000 in 1913 and 236,300 by 1918. Tisza was already detested by the Hungarian nationalist and socialist opposition as a pro-Austrian collaborator: on May 22, 1912, protests demanding his resignation as president of Hungary’s House of Deputies (the lower house of parliament) turned into bloody riots in Budapest. Predictably, when Tisza presented the new Army Bill on June 4, he faced a storm of dissent from radical members of the House of Deputies who repeated their old demand that Magyar replace German as the official language of military command in Hungary. The radicals also wanted to cancel the law that gave Emperor Franz Josef the right to call up recruits in an emergency without parliament’s permission. But there was no way that Franz Josef or the heir to the throne, his nephew Franz Ferdinand, would cede even more power to the Hungarians by giving up their constitutional right to emergency call-ups. Faced with a seemingly impossible situation in the Hungarian House of Deputies, where opposition members disrupted proceedings with "whistles, trumpets, rattles, or other instruments of the most discordant character" to keep the bill from passing, Tisza showed his traditional authoritarian (read: anti-democratic) side by simply ordering the police to remove the opposition so he could bring the Army Bill to a vote. On June 4, 1912, the Army Bill passed the Hungarian lower house literally under armed guard. While many conservative aristocrats admired Tisza’s no-nonsense approach to the opposition, he almost paid for it with his life. On June 7, 1912, Gyula Kovács, an opposition member who had been suspended from parliament for disorderly behavior, strode into the chamber, shouted “There is still one member of the opposition present!” and fired three shots at Tisza before turning his pistol on himself. The shots missed and both Tisza and Kovacs survived, but the incident was another sign that the traditional order in Austria-Hungary was unraveling – and ominously foreshadowed more political violence to come.